Don`t buy SGS i9000. I have the Omnia 2, it freezes on internet, has poor connectivity and other minor issues. Although the i9000 has a faster CPU (1G ), the unit still has similar problems. I think Samsungs phone software technology needs to improve a bit more! I have been researching the DHD for quite sometime now. This is an impressive performer. I have personally tried the Desire which is comparable to my Omnia 2. The Desire`s internet connectivity and performance beats the Omina 2 hands down! My only concern is it`s battery life. For some reason DHD has gone for a smaller capacity battery. I admit there may be no perfect phone, but DHD is pretty close. Will ditch my Omnia 2 for the DHD soon!Good luck mate. Hey does anyone know if the DLNA capability on the Desire HD allows you to connect to devices other than your HDTV. Im interested to know if i can send data to my windows 7 pc. To be able to "play to" windows media player for instance ???? DHD does not have 2nd camera for video calling!!! Does it have a secondary camera to make a video call? In specifications, we can see it is mentioned to not have a 2nd camera, but if yoy look it carefully, you can find out a spot looked like a 2nd camera besides its speaker. Can anyone help me solve this puzzle? If your phone battry is running just for three hours then there is a problem with you pone you better to send it for repairing . 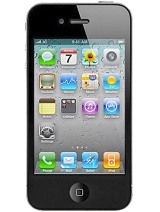 Beacuse i have this phone and by the full use mean listening songs , playing games emails Txt. my battery goes for one day easily with a full charge. i just turn off the screen Animations and thats all. can the area by the volume control be clipped of?? and if so whats it for? My HTC DHD 3 hours after a full charge battery life goes down by 15%, power saver is on, brightness on low, wi-fi off, in them three hours i've only received and made calls totalling 5 mins max, no surfing and no playing games, is this normal. I have always had Windows mobile phones, but I am considering to switch to Android because of all the possibilities to adjust the phone to my liking, and because of the vast amount of apps. Anyone of you experts can give me some explanation? Hey, anyone in here owning this 'phone'? How do you carry it? Can it be put in a belt pouch like a normal cell phone? It looks a bit big for that. Can one buy a small carry bag for it? What is better and safer for the device? I see is not much smaller then the 7in Samsung phone/tablet. UzI, 27 Oct 2010The camera is phenomenal best one from HTC and Android, there is several apps in the market wh... morethanks a lot buddy. u ppl r doing an excellent review of this phone, even better then its forum.